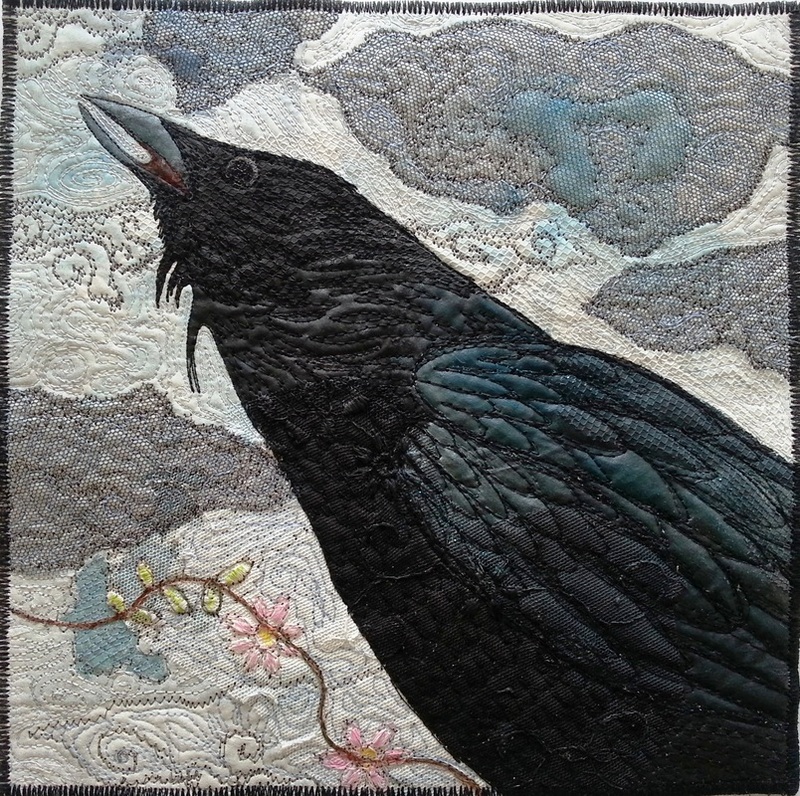 My Crow Collection is an ongoing project, these pieces are all mixed media, measuring from top left to right, approximately, 24"x 21", 8"x 8", and A3, and the last three also 8" x 8". 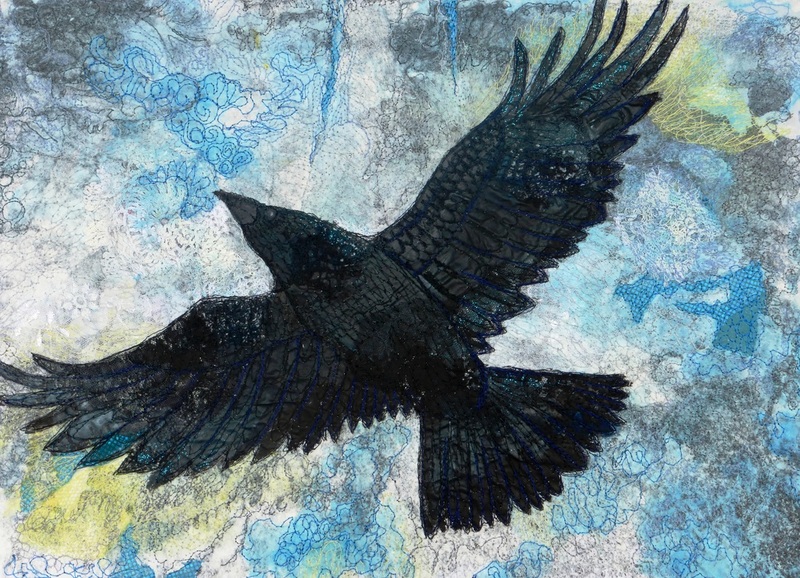 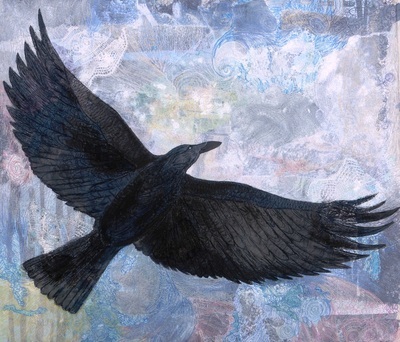 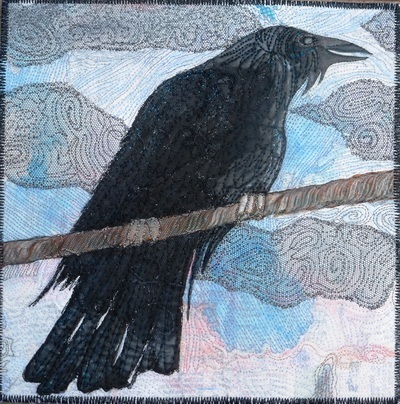 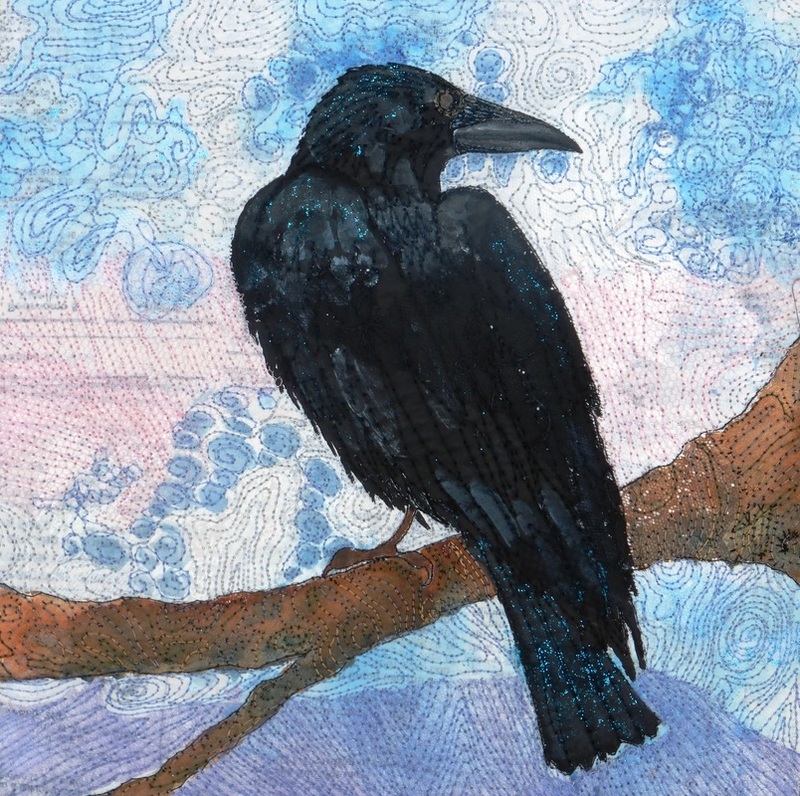 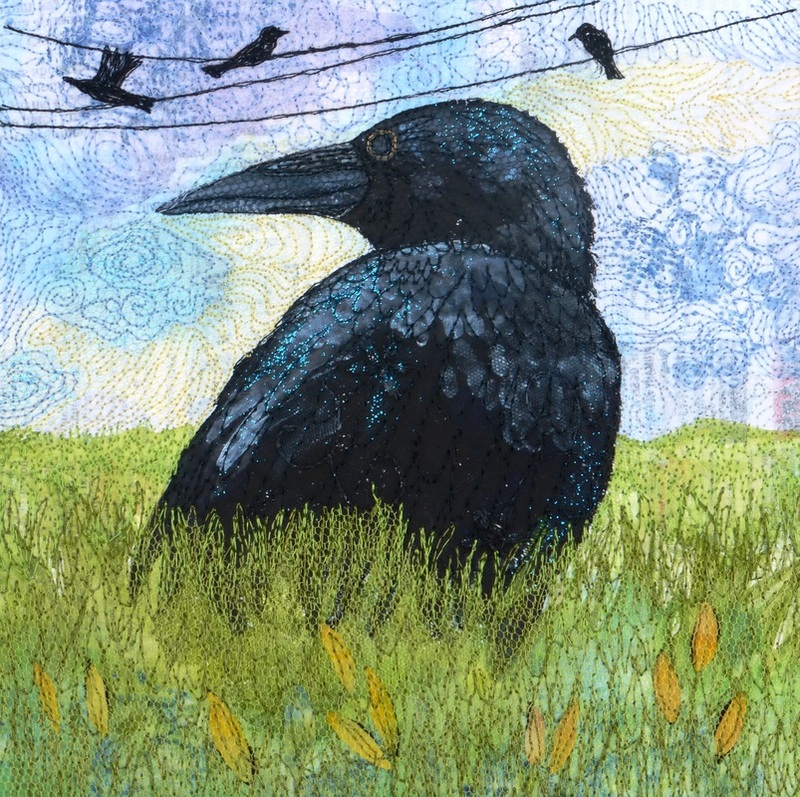 I have used a combination of paper lamination for the backgrounds, the crows are outlined with stitch before being painted with acrylic paint. Applique and glitter glue has been added in places, and then each piece has been heavily free machine quilted.